During the chillier months we are all craving more comfort food ! 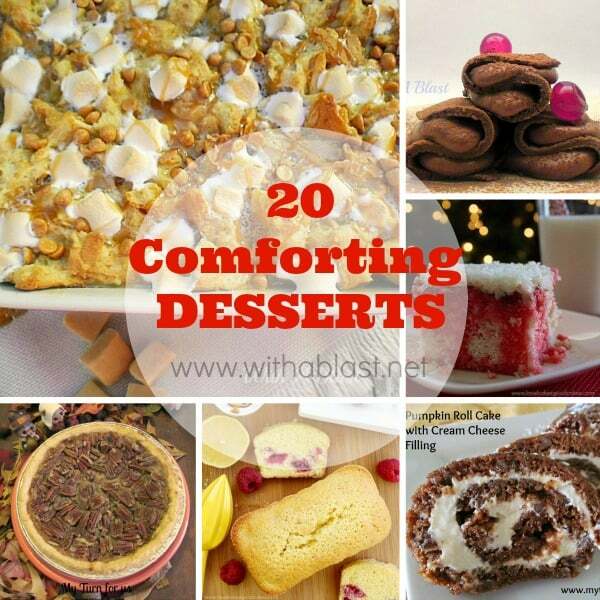 And this round-up of 20 Comforting Desserts will definitely come in handy when you run out of ideas ! Included in this collection you will find puddings, cakes, pies, rich chocolate pancakes, Monkey bread and so much more – as usual … enjoy and I hope you find a few recipes which you would love to make at home. Click any image below to see the full recipe (will open on a separate page). Please remember to pin only the above collage here, but individual recipes below from their own pages.